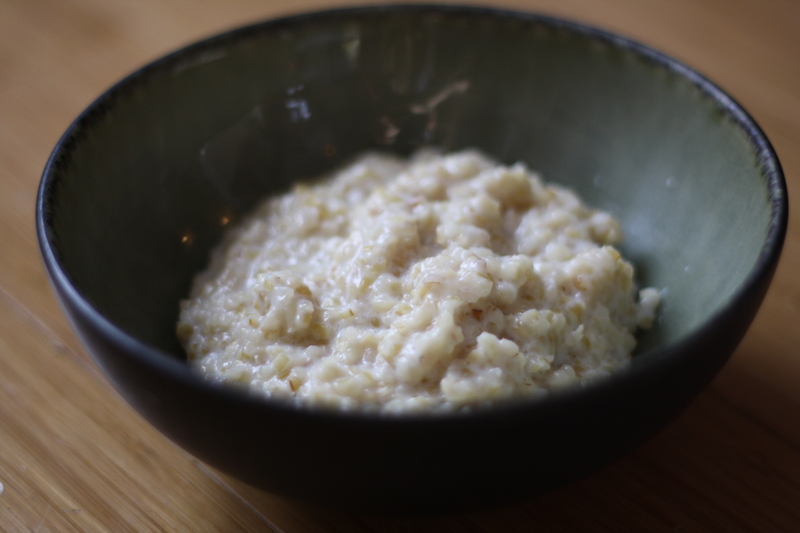 Kinche is a very common Ethiopian breakfast food, their equivalent of oatmeal, if you will. It’s incredibly simple, inexpensive, and nutritious. It is made from cracked wheat, which you can find in any grocery store. You can boil it in either milk, or part milk/part water. And in Ethiopia, after the kinche is cooked it is mixed in the pan with niter qibe (clarified spiced butter) or oil and fried onions. Personally, I skip that step, but only because I make the kinche the day beforehand and Adam heats it up for the kids in the morning. Very un-Ethiopian of us, from both a culinary and gender-role perspective, but I am literally never conscious while the kids are eating breakfast and Adam is kind enough to get up and feed them in my absence, but won’t do much more than make toast or heat milk in the microwave. So the kinche with fried onions and qibe is out. But the kids still eat it and like it. I bet your Ethiopian kids will, too. Heat the milk and add the cracked wheat. Cook on low or low-medium heat, stirring frequently, until the wheat is cooked, about 20-30 minutes. If using qibe: heat the qibe and stir the kinche to mix thoroughly. Salt to taste. If using oil and onions: fry the onions in the oil. Stir in the kinche and salt to taste.